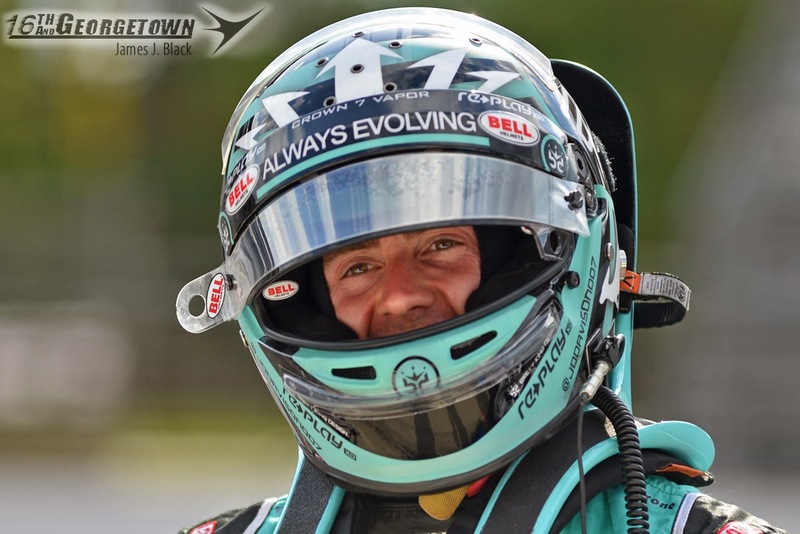 The Indianapolis Motor Speedway went green for the 2nd day of practice for the Indianapolis 500 at noon Tuesday afternoon, Marco Andretti was out first. 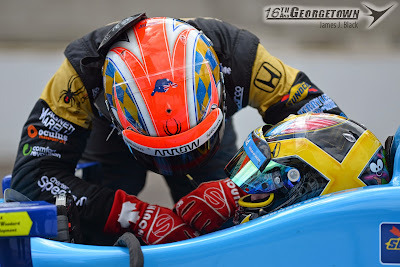 The speeds climbed quickly early in the day when Andretti, Townsend Bell and JR Hildebrand all had quicker no-tow speeds in the first 10 minutes of practice than they did through the entire first day of practice Monday. 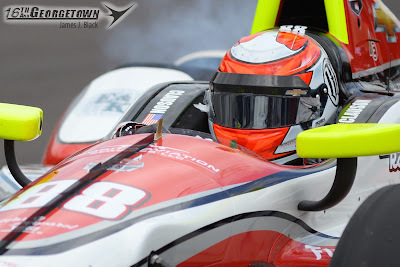 Just after 2pm Simona De Silvestro's car began to smoke while exiting Turn 2. While slowing to a stop on the backstretch her DW12 caught fire before coming to a stop on the inside of Turn 3. Simona got out of the car under her own power and was transported straight to the team's pit with no injuries. According to Honda, the fire was caused by a buckeye fuel leak and was not engine related. At the 3pm halfway mark 982 laps had been turned by 30 drivers. There were 2 yellow flags for a total of 25 minutes 36 seconds. The first was for a track inspection and the second for De Silvestro. Around 4:30 the Schmidt Peterson Motorsports No. 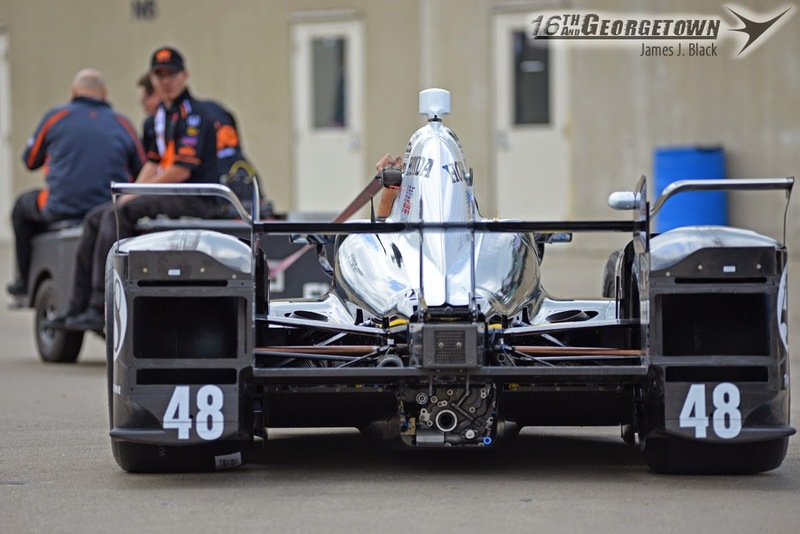 7 entry of James Jakes came to a stop at the entrance to pit lane with a long trail, the result of a blown engine. Jakes got out under his own power. With 35 minutes left in today's session the No. 19 Dale Coyne Racing car, with James Davison behind the wheel, took to the track for the first time this month. 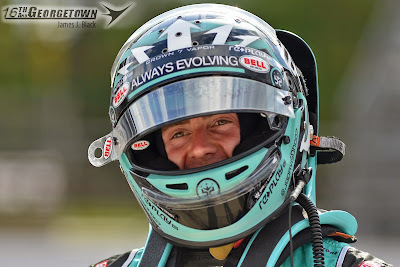 The driver of that entry is still officially TBA, but it's expected Davison will practice and race the car with another driver qualifying it do to Davison's other racing commitments. Tristian Vautier is expected to qualify. Alex Tagliani, a one-off for A.J. Foyt Racing, also turned his first laps of the month in the No. 48 entry. The veteran turned just 3 in the final stages of the day. 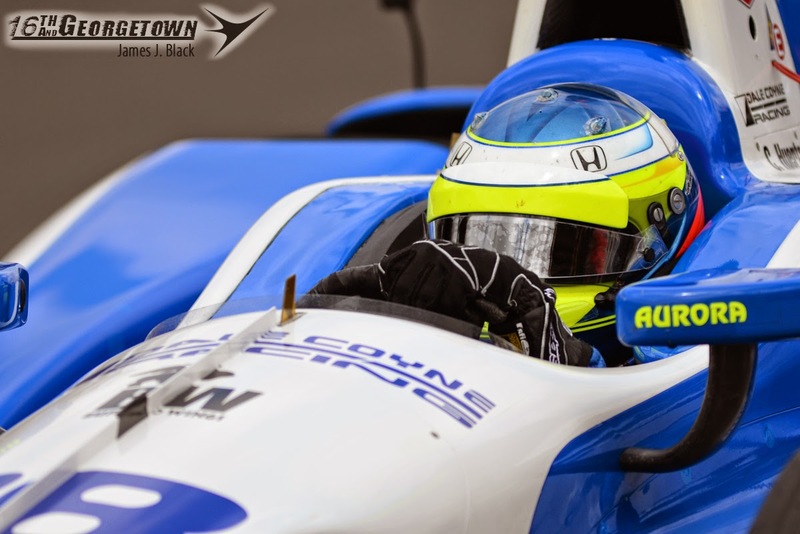 Justin Wilson became the second Andretti Autosport driver with issues today. With just 5 minutes before the checkered was scheduled to fall he came to stop entering turn one with an apparent blown engine. 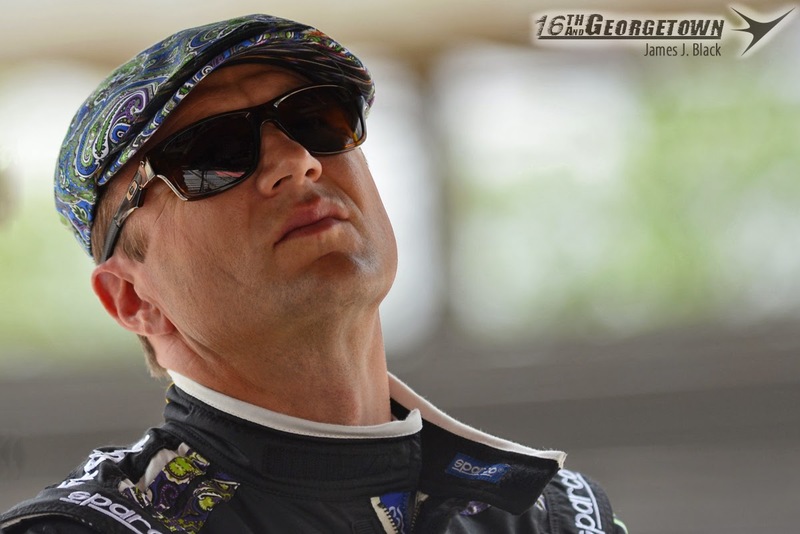 In total 1,958 laps were turned by 33 driver with 5 hours 4 minutes of green flag action. 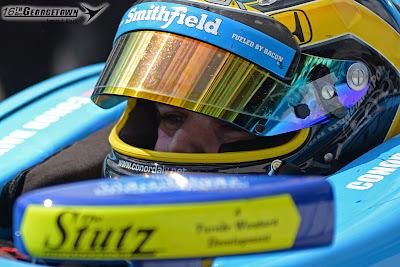 De Silvestro, Alex Tagliani and Marco Andretti in Munoz's No. 26 entry did not log a no-tow qualifying lap. Castroneves' top no-tow speed cam at the end of the day when Chevrolet rolled out their qualifying aero kit pieces. The sidepod on this package looks much more similar to the old DW-12 bodywork without the 'bulb' their previously unveiled superspeedway package included.